Mark Bowden is an author and journalist. His books, The Best Game Ever: Giants vs. Colts, 1958, and the Birth of the Modern NFL; Black Hawk Down : a Story of Modern War; and Huế 1968: A Turning Point of the American War in Vietnam are part of the Upton Bell Collection at UMass Lowell Libraries in O'Leary Library, 2nd Floor Special Collections and include a personal inscriptions. On December 28, 1958, the New York Giants and Baltimore Colts met under the lights of Yankee Stadium for the NFL Championship game. Played in front of sixty-four thousand fans and millions of television viewers around the country, the game would be remembered as the greatest in football history. On the field and roaming the sidelines were seventeen future Hall of Famers, including Colts stars Johnny Unitas, Raymond Berry, and Gino Marchetti, and Giants greats Frank Gifford, Sam Huff, and assistant coaches Vince Lombardi and Tom Landry. An estimated forty-five million viewers--at that time the largest crowd to have ever watched a football game--tuned in to see what would become the first sudden-death contest in NFL history. It was a battle of the league's best offense--the Colts--versus its best defense--the Giants. And it was a contest between the blue-collar Baltimore team versus the glamour boys of the Giants squad. The Best Game Ever is a brilliant portrait of how a single game changed the history of American sport. Published to coincide with the fiftieth anniversary of the championship, it is destined to be a sports classic. Recounts a 1993 firefight in Mogadishu, Somalia, that resulted in the deaths of eighteen Americans and more than five hundred Somalis, examining the rationales behind the disastrous raid. 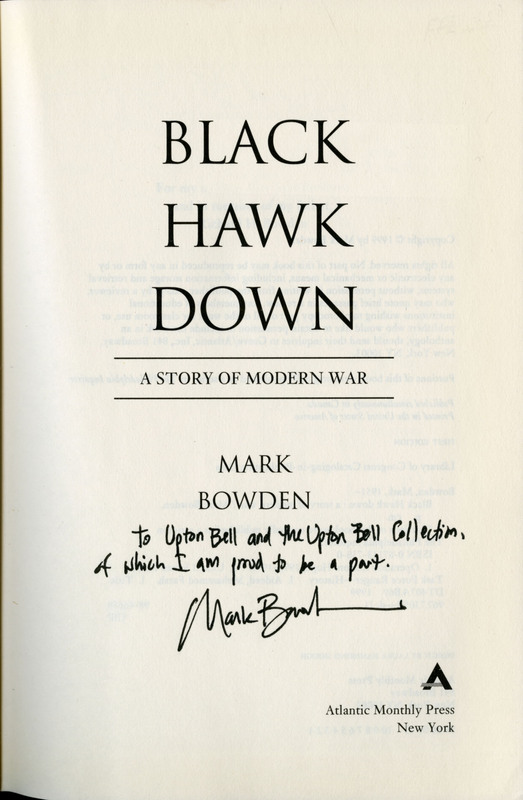 ALos Angeles Times Book Prize Finalist in History Winner of the 2018 Marine Corps Heritage Foundation Greene Award for a distinguished work of nonfiction The first battle book from Mark Bowden since his #1New York Times bestsellerBlack Hawk Down,Hue 1968 is the story of the centerpiece of the Tet Offensive and a turning point in the American War in Vietnam.In the early hours of January 31, 1968, the North Vietnamese launched over one hundred attacks across South Vietnam in what would become known as the Tet Offensive. The lynchpin of Tet was the capture of Hue, Vietnam's intellectual and cultural capital, by 10,000 National Liberation Front troops who descended from hidden camps and surged across the city of 140,000. Within hours theentire city was in their hands save for two small military outposts. American commanders refused to believe the size and scope of the Front's presence, ordering small companies of marines against thousands of entrenched enemy troops. After several futile and deadly days, Lieutenant Colonel Ernie Cheatham would finally come up with a strategy to retake the city, block by block and building by building, in some of the most intense urban combat since World War II. With unprecedented access to war archives in the U.S. and Vietnam and interviews with participants from both sides, Bowden narrates each stage of this crucial battle through multiple viewpoints. Played out over 24 days and ultimately costing 10,000 lives, the Battle of Hue was by far the bloodiest of the entire war. When it ended, the American debate was never again about winning, only about how to leave.Hue 1968 is a gripping and moving account of this pivotal moment.